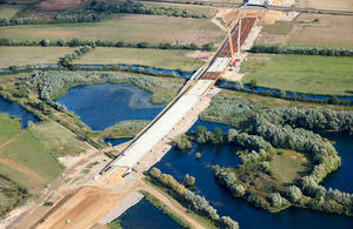 A new cycle and pedestrian bridge over the A14 in Bury St Edmunds was installed in just 48 hours. A road worker is in hospital with serious injuries after being run over by a dumper truck while working on the A14. Transport Minister John Hayes has visited Britain’s busiest container port and a vital road – the A14 – which links it to the heart of England. A planning application for the A14 Cambridge to Huntingdon improvement scheme has been accepted by the government’s planning inspectorate. Highways England is set to carry out resurfacing works on the A14 in Cambridgeshire. A Costain/Skanska joint venture will deliver two of the three sections of the A14 Cambridge to Huntingdon Improvement Scheme after being awarded a £600 million contract by Highways England. 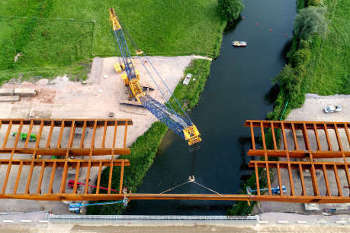 A Balfour Beatty/Carillion joint venture has been selected to deliver a £292 million construction package to upgrade the A14 between Swavesey and Milton as part of the wider A14 Cambridge to Huntingdon improvement scheme. The A14 Cambridge to Huntingdon improvement scheme will go ahead after the government granted approval. 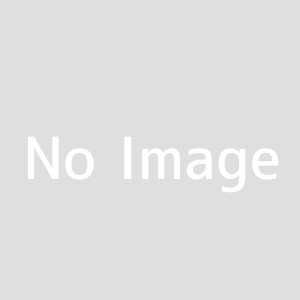 Highways England is inviting people to apply for grants of up to £10,000 to help lock in the benefits of the A14 upgrade project that starts later this year. 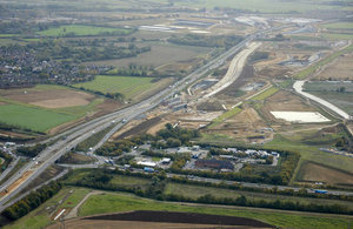 Highways England will start main construction work on the £1.5 billion upgrade of the A14 in November. Matchtech has been named as one of four preferred agencies to source contractors for the A14 improvement scheme. Work on the £1.5 billion A14 upgrade in Cambridgeshire is officially underway. The Government has released details of its £500 billion infrastructure investment pipeline which includes major projects such as the Thames Tideway Tunnel and upgrading the A14. 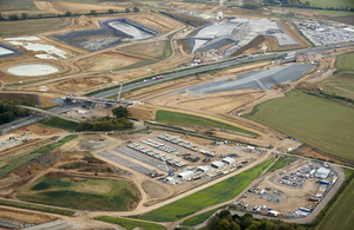 Highways England’s £1.5bn A14 project has discovered significant archaeological sites in Cambridgeshire. 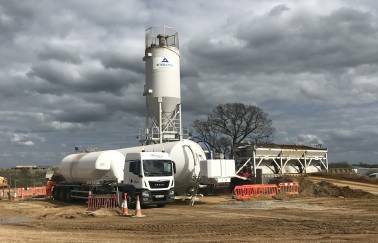 Aggregate Industries has won a £70m contract to deliver the surfacing works for England’s largest current road improvement project. 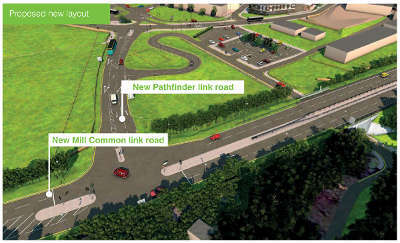 Highways England has released images of what the town of Huntingdon will look like once the old A14 viaduct is removed. 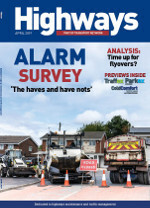 Highways England’s chief executive has pledged to increase its use of automation and off-site construction during the next road investment period as ministers published a £600bn pipeline of infrastructure spending.